On February 9, 2016, the Centre for Scottish and Celtic Studies welcomed Denis Rixson (Mallaig) to discuss ‘Land-assessment in (Western) Scotland’. Below is this listener’s brief summary of the lecture. Denis began by explaining that, in Scotland, there are four types of land assessment: two non-fiscal and two based on currency. 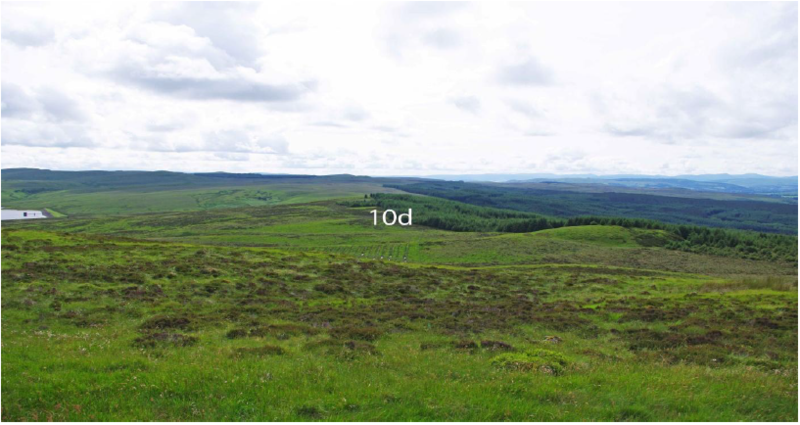 The two non-fiscal types of land assessment in Scotland are known as davachs, which are focused on measuring the productivity of a parcel of land, and carucates (or ploughgates), which measure the area of land itself. The two fiscal types of land assessment are ouncelands/pennylands, which originates from the Norse, and merklands, which are a Scottish system. Although there are many regional terms thrown into the land assessment mix, the important parts to focus on are fiscal judgments based on non-fiscal assessments. Tenpence, name which appears to have come from its status as 1/16 of a merkland. In some instances, the isle of Eigg, both pennylands and merklands are used in the same document dating to 1498, but appear to neatly correlate with a fixed proportion of 1:6, with the total valuation of Eigg coming to 30 Scottish merklands or five Norse ouncelands. By looking at these land assessments, we can compare the wealth and resources of each of the small isles. For example, while Eigg is worth five ouncelands, Rum and Muck are each only worth one ounceland. This is significant because Rum is far larger than Muck, but has the same valuation. When compared to other areas of the Highlands and Islands, one can understand why there are records in the Chronicles of Mann complaining about trying to make a living in one area as opposed to another. Denis also argued that the boundaries of davachs in Western Scotland were likely judged based on a top-down subjective valuation of the landscape, usually based on watersheds and drainage basins. A term which is often come across in discussions of boundaries as far back as 1556 is “as wind and water shear”, or “as wind and weather shear”, which would be the point where water falls either one way or the other at the top of a hill. He therefore argues that earlier boundaries in the west of Scotland were determined by the topography of the area, and the use of rivers as boundary markers was a later development. However, comparing different regions in Scotland becomes more difficult. In fact, Denis argued that land assessment in Scotland one must keep in mind that land assessment varies between provinces, especially when comparing the east with the west. While Eigg had a neat system that used merklands, ouncelands, and davachs, Northeast Scotland used a system that used davachs in conjunction with Southeast Scotland’s ploughgates and oxgates. In one northeastern parish, it was said that each davach contained four ploughgates, and each of those ploughgates contained eight oxgates. Oxgates did not occur in Hebridean contexts. Ploughgates, as mentioned above, measure the area of the land. On the east coast of Scotland one ploughgate can be broken down into 8 oxgates, which can then be broken down into 13 acres. Despite the appearance of a measured system, this too varies between provinces. In Lennox, it appears that one ploughgate corresponded to twelve bovates/oxgates. It appears that there is an additional, unknown variable in this measuring system that causes variation. This becomes even more unclear when discussing davachs. In the Parish of Rhynie, one davach was said to contain 32 oxgates. In another, a davach was said to contain 8 oxgates. Denis argued that it is likely that a davach was seen as “as big as it needs to be to support…” some sort of settlement unit, so it is no wonder that its actual size varies between parishes. Denis argued that land assessment can help answer important questions in Scottish history, such as those concerning religious endowment (such as the identification missing parishes), naval and military levying, agricultural practices, and certain aspects of the social structure (issues pertaining to the patronage of poets and musicians). On the issue of agricultural practices, souming was connected to land assessment. Souming determines the type and amount of stock one is allowed to pasture in a set parcel of land. In one document, for every pennyland, one received 28 sums. Each milk cow counted as one sum, a horse for two sums, and ten sheep for one sum, so one could have 280 sheep on that one parcel of land, or 28 milk cows, or two milk cows and 260 sheep. Despite this connection to the land assessment, Denis explained that it did not seem likely that pastoralism was factored into the valuation of the land, but that it instead related to the amount of arable land. This would explain why the isle of Rum, even though it is a large island, was worth one ounceland as opposed to the fertile, but smaller, island of Eigg, which was worth five ouncelands. Due to the nature of West Scotland’s reliance on pastoralism, it seems counter-intuitive that the land would not be valued based on this aspect of the economy. Denis did raise the possibility that this focus on arable land could have originated in East Scotland, the more fertile part of the country. These concepts then could have been borrowed by or imposed on West Scotland. This would in part explain why different types of land assessment correlate in such neat numbers, especially in the case of the isle of Eigg and other islands. For more information on land assessment in Scotland, please visit Denis Rixson’s website. It contains links to his blog on Scottish Land Assessment, his blog on the West Highland Galleys, and the website for his his bookshop “Oswald Street Bookshop,” which can be found at 27 Oswald Street, Glasgow, G1 4PE. Our seminar series continues on 16 February 2016 with Alasdair MacDonald (Groningen) to discuss ‘George Lauder: early modern Scottish poet and soldier.’ This will be held in Room 202, 3 University Gardens at 5.30pm.